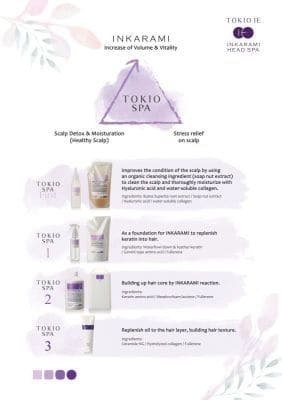 TOKIO SPA INKARAMI TREATMENT brings together the world’s leading TOKIO INKARAMI SALON SYSTEM, which provides a unique “dual care” of both scalp and hair at the same time. 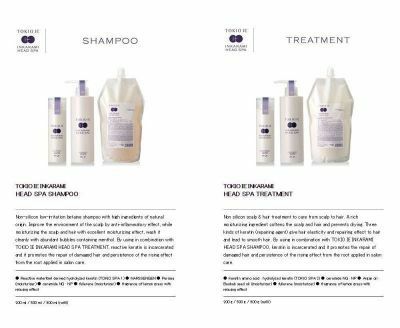 We focus on the fact that the common deterioration condition is “Dryness”- dryness of scalp and dryness of hair. Dryness leads to an unrelenting downward spiral effect in damage, and We have clarified that ” adequate moisturizing” is the key to an improvement in condition. We define SPA as sensation & relaxation. 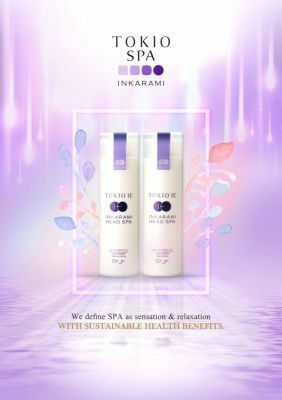 Salon care at home everyday with the shampoo and treatment incorporating the know-how of the patented technology of INKARAMI. 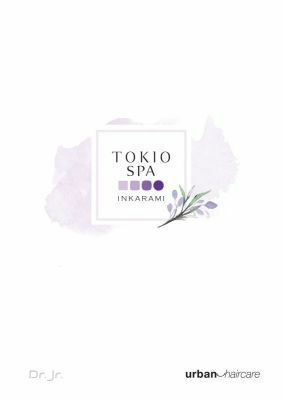 We define SPA as sensation and relaxation.